Why Internship Matters in AI? If you visit Cere Labs office, it is occupied with enormous enthusiasm. Why will it not be? Almost half of it is occupied by young people who want to showcase their capabilities in the field of Artificial Intelligence (AI). Although we call them interns, they are much more prepared for the job they commit to. It boils down to the LEARNING-KNOWING-DOING cycle. The initial days of an intern are occupied with getting acquainted with this flourishing field. An intern goes through doing online courses, reading research papers, installing various programs into Ubuntu (Linux based operating system), giving presentations, mentoring sessions, and knowledge transfer. Some work on pure research projects that have no necessary deadline, while some work with our researchers on a deadline. Both types of projects have their own set of challenges. Most of the interns who join us are not used to working in the field of AI. AI programming is different than conventional programming, requires more of a data driven approach than a conventional programming approach. It is much like what our CEO, Devesh Rajadhyax calls - “The Buddha vs Child” paradigm. In the college the interns are busy with writing programs that act like a Buddha in the problem they are trying to tackle – the program knows all about the problem. But in AI, the program is a model, which learns over a period of time, just like a child. To teach this child is fun, challenging and frustrating at times. It is unpredictable, and may not work always to our satisfaction. Thus, this requires a tremendous mindset change, and that is what our interns go through – a mindset change from conventional programming to AI programming. Research: Perform literature survey of the task at hand, read relevant research papers, document them. To understand such research papers the intern should have an adequate knowledge of Linear Algebra, Calculus and Statistics. Implementation: Ability to implement cutting edge research. Quick prototyping. Presentation: Presenting the ideas and prototype to the team. Documentation: Documenting both the project and code. The practice of keeping daily logs of the work done is an essential practice. Internship at Cere Labs inculcates the habit of all the above four dimensions in an intern. Within a span of one month, the transformation in an intern is phenomenal. Most of the interns go for higher education in AI, and this internship prepares them for whatever is at store in their respective universities. They are aware what is at stake when it comes to working on the most complex problems while designing AI solutions, and thus are confident while tackling any challenges in AI in the future. The fact should not be denied that all this is achieved by the interns with minimum help. Cere Labs provide them resources such as GPU machines required for Deep Learning, initial guidance, and repetitive feedback sessions. The results achieved are commendable, and the internship gives them the opportunity to discover themselves, thus providing them a chance to exploit their strengths to the fullest extent. As a startup, Cere Labs is growing rapidly, successful in building AI products. 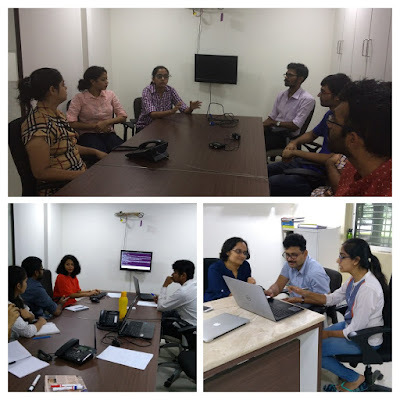 Interns have contributed a lot to this fascinating journey; their inputs, enthusiasm, and creativity have helped Cere Labs to grow in many ways. Cere Labs has rediscovered the internship model, which suits its culture. We wish to continue this journey of working with such bright minds and to bring out fascinating products. CAN I APPLY FOR INTERNSHIP AT CERE LABS? Yes you can! All you will need is the passion for working in the field of Artificial Intelligence, willingness to understand mathematical concepts, ability to code, and discipline of learning. Age is not a criteria for working at Cere Labs. The month of June is a busy period at Cere Labs. This is the month when we get maximum interns, as this is the month when colleges have holidays. 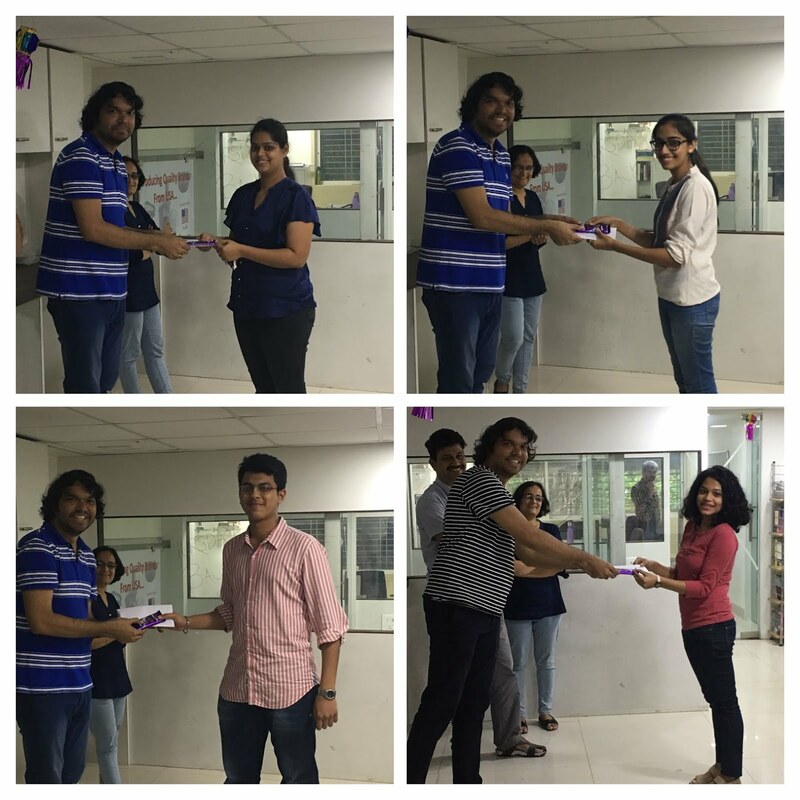 We had four brilliant interns - Sanjuksha, Gauri, Shubham and Nidhi whose contributions were phenomenal. 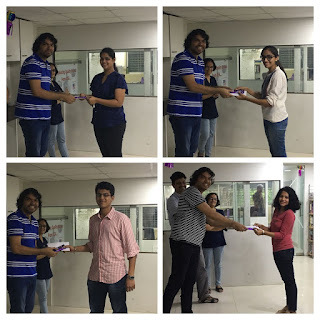 Interns are recognized with a completion certificate after successful completion of their internship. A minimum of one month commitment is required. I am a robotics and AI enthusiast, I interned at Cere Labs for four months. I worked on Reinforcement Learning in Robotics at Cere Labs. It was a truly encouraging, inspiring and exceptional learning experience. Expressing my gratitude towards the ingenious Cere Labs team! Working as an intern at Cere Labs has been an incredible experience and greatly improved my coding skills, work ethics, and my personality. This internship allowed me to hone my skills, especially those in my field of study, experience composing a scientific research paper, and perform actual scientific research with experienced, brilliant, and like-minded people. The internship was a valuable resource and real world experience. During my stint at Cere Labs as an intern, I had a memorable hands-on experience on Artificial Intelligence and Deep neural networks. The projects here are very much aimed at solving real life problems and also innovating new methods to simplify daily tasks. In the six weeks that I've interned at Cere Labs, I have had the opportunity to learn and experience so much, and I feel like I'm leaving here as a whole new person. It's inspiring to be surrounded by so many creative and passionate minds and you eventually imbibe their incredible work ethic and dedication to their projects. Right from the start, everyone has always been friendly and supportive, and I've always been encouraged to pursue my interests. Even as an intern, I felt like my work mattered and the genuine warm and welcoming atmosphere at Cere Labs always pushed me to work harder at learning and improving. I'm glad I had the chance to work here, and I'm sad to leave so soon. Thanks for sharing these information. I was looking for Internships in Mumbai for a long time. Can you post a detailed article about that internship?